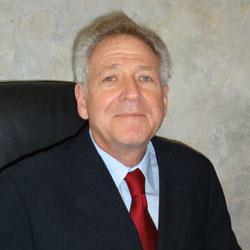 Stanley Stahl is a well-respected certified public accountant with over 30 years of diversified experience. He has the distinction of having been the managing partner of an accounting firm he founded and managed for over ten years before joining Shalik, Morris & Company, LLP in 2012. Stanley’s experience covers a broad spectrum of the accounting profession: accounting, auditing, tax compliance and consulting. Stanley’s industry expertise includes but is not limited to the following industries: medical, legal, and other professional services, real estate, construction estates and trusts, succession planning, retail, wholesale, not-for-profit and personal client services. His experience also includes assisting clients with startup operations and entity selection for new businesses. Stanley has practiced before the courts with debtor in possession and guardian reporting and related tax compliance. He is currently the director of a small public charity that provides scholarship support to single parents pursing college or graduate education in the SUNY system. Mr. Stahl has excellent relationships with lending institutions, law firms and entrepreneurial individuals and families. Stanley received his Bachelors in Business Administration with a major in Accounting from Pace College. He is a member of the American Institute of Certified Public Accountants, New York Society of Certified Public Accountants and the National Conference of Certified Public Accounting Practitioners.